Please forward this invitation to your skilled customers or staff who need a pre-canned library of compliance reports, data clean-up reports, MIM reports, as well as Schedules, Health Checks, and Workflows. We are again having training in England. This day-two course may be our most beneficial and desired course. In this course, we train you on how to deploy and use all of the pre-built OneDesign compliance, data clean-up, AD, MIM, and Office 365 reports we provide our trained Knowledge Package and OneDesign customers. 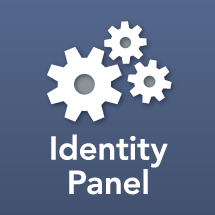 We guide you through an initial Identity Panel configuration that assumes Identity Panel is already installed and running in your organization. NOTE: These courses repeat and are designed to allow you to pick and choose your course attendance days based on your learning needs. We hope you will learn and return for your next learning goal next year, since each topic will repeat, and new topics will be added. You choose only the days you need to attend this year, and then use what you learn, to only later return for more advanced learning. Training is designed to repeat and evolve to help you help your organization reach its implementations goal each year. If you are MIM, Office 365, or AzureAD technical expert or administrator and have seen or used Identity Panel. This course is a prerequisite for advance courses. Those who want a prebaked set of reports, and don’t want to learn the Identity Panel Rule Engine in detail, just yet. Those who want to learn how to write reports using the Rule Engine, but need this primer first. Those who plan to learn setup of Identity Panel once it is deployed by a trained Identity Panel Systems Engineer. Be familiar with Identity Panel, or have attended another Identity Panel course. The diagram below shows how day-two fits with suggested learning tracks. Day-two is an Initial Configuration of Reports, Schedules, Health Checks, Dashboards, and Workflows. This Outlook invitation if for day-two only. Each day will have its own Outlook invitation you must use separately to RSVP for each respective day. Lunch, coffee, and snacks are included. Lunch includes a vegetarian option.